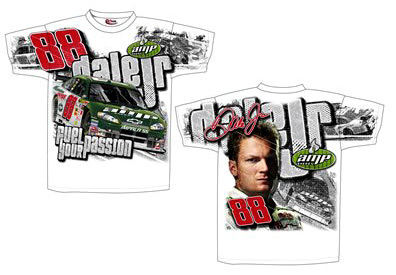 Dale Earnhardt Jr #88 Distressed Retro Mountain Dew T-Shirt, by Chase Authentics. 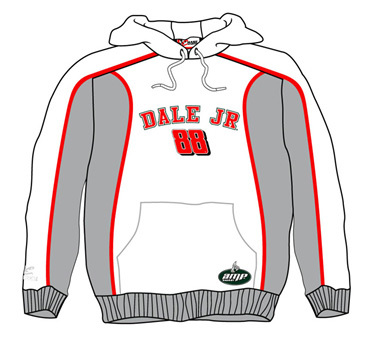 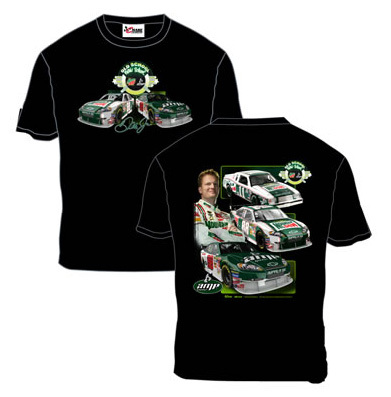 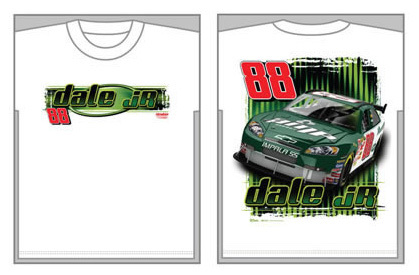 Officially licensed Dale Earnhardt Jr green NASCAR t-shirt, 100% pre-shrunk cotton. 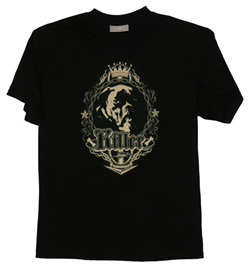 This t-shirt features a Retro Mountain Dew logo and Amp Energy logo with a distressed design. 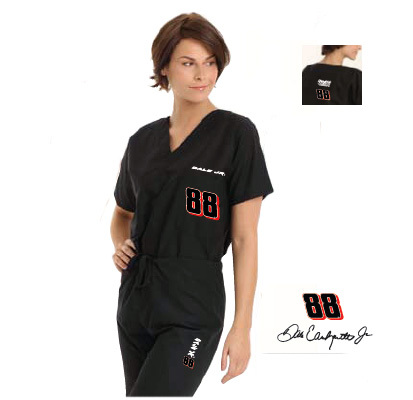 Dale Earnhardt Jr #88 Ladies Black Script T-Shirt, by Chase Authentics. 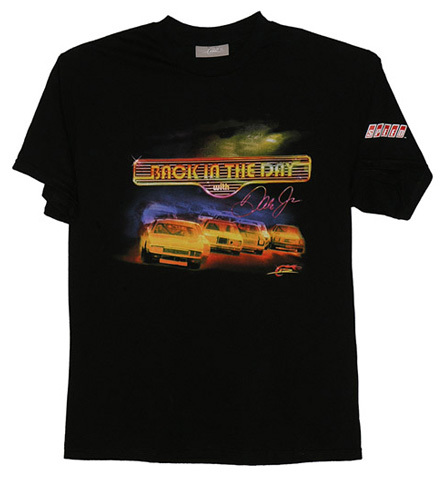 Officially licensed Dale Earnhardt Jr ladies black t-shirt, 100% pre-shrunk cotton. 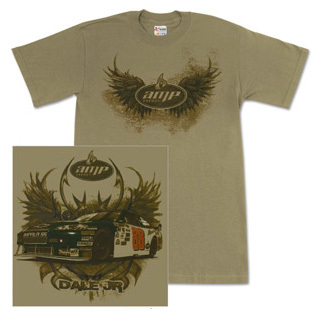 This ladies NASCAR tee features an awesome Dale Jr script and wing design on the front and small Hendrick Motorsports logo on the back neck. 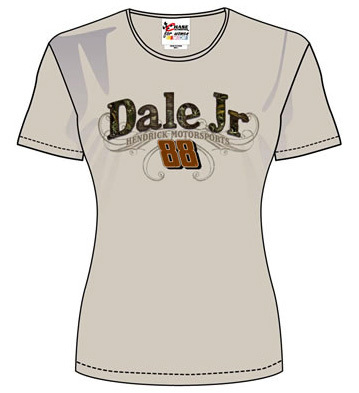 Dale Earnhardt Jr #88 Ladies Realtree Cobblestone T-Shirt, by Chase Authentics. 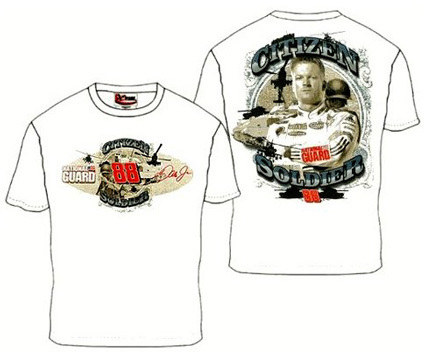 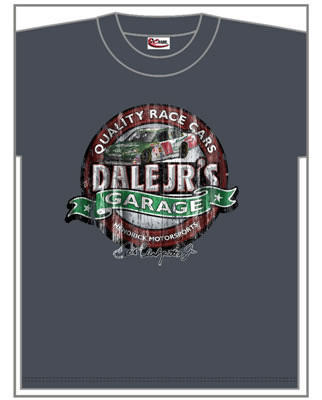 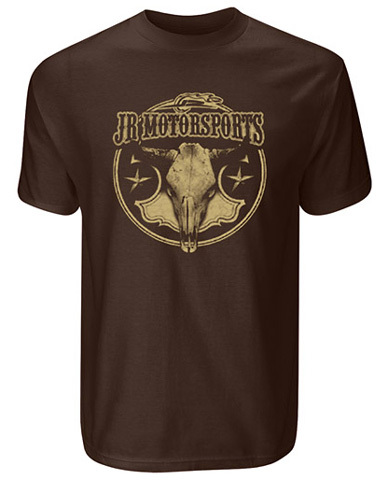 Officially licensed Dale Earnhardt Jr ladies beige t-shirt, 100% cotton. 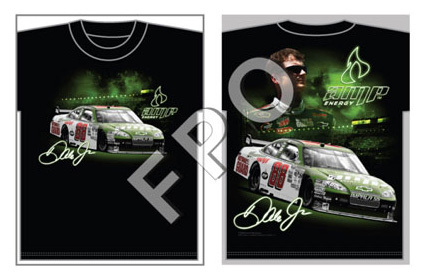 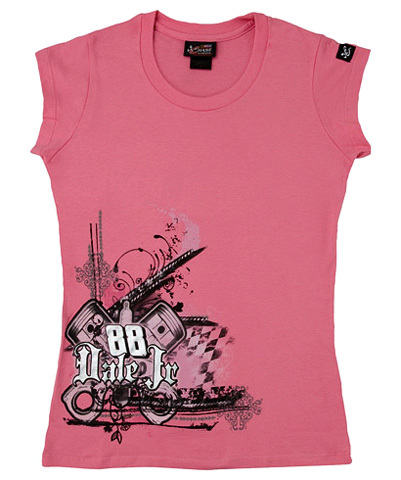 This ladies NASCAR tee features Dale Jr, Hendrick Motorsports and the car number on the front. 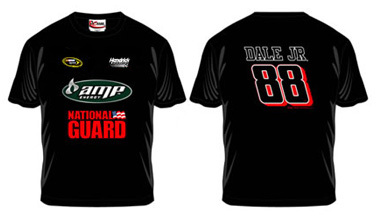 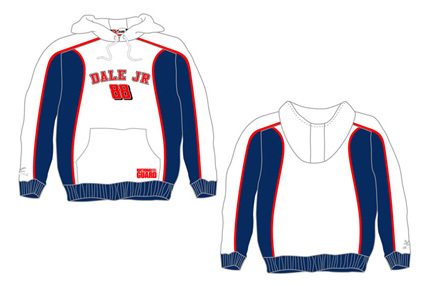 Dale Earnhardt Jr #88 Amp Energy / National Guard Ladies Name and Number T-Shirt, by Chase Authentics. 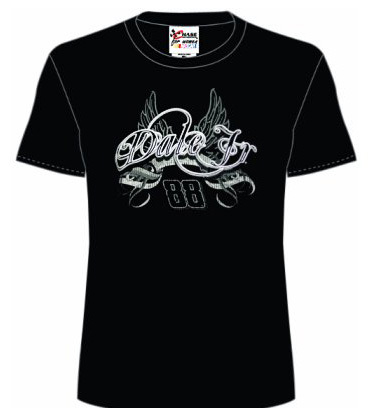 Officially licensed Dale Earnhardt Jr ladies black v-neck tee, 100% cotton. 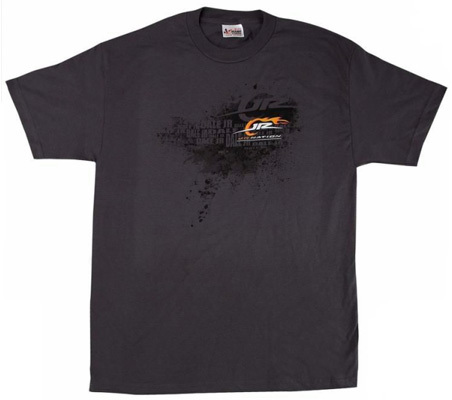 This ladies NASCAR tee features screen printed sponsor and team graphics on the front and back. 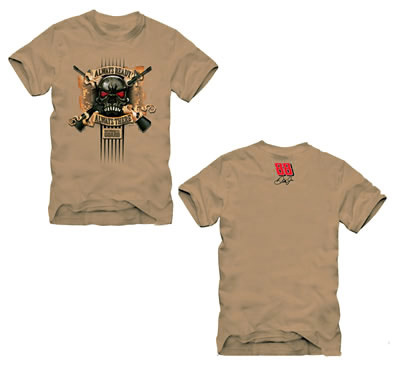 The t-shirt is average / normal in size. 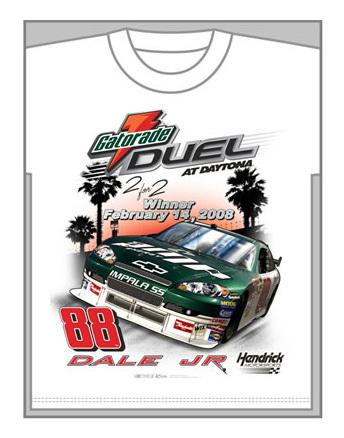 Officially licensed, 65% polyester 35% cotton, hurter green unisex boxer style scrub pant with drawstring belt and back pocket. 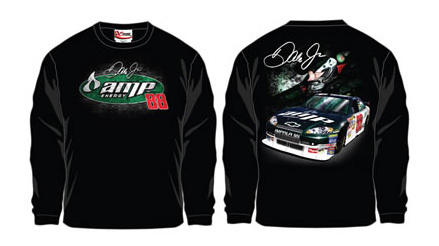 This pant features Dale Earnhardt Jr's replica signature and car number on one leg and the NASCAR logo on the other. 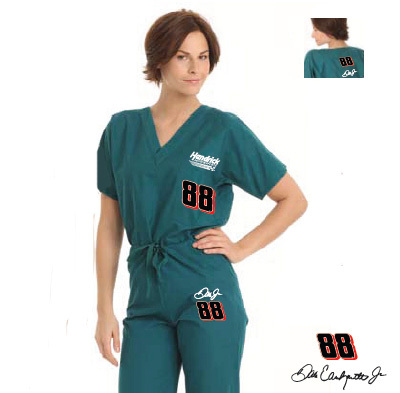 Officially licensed, 65% polyester 35% cotton, black unisex boxer style scrub pant with drawstring belt and back pocket. 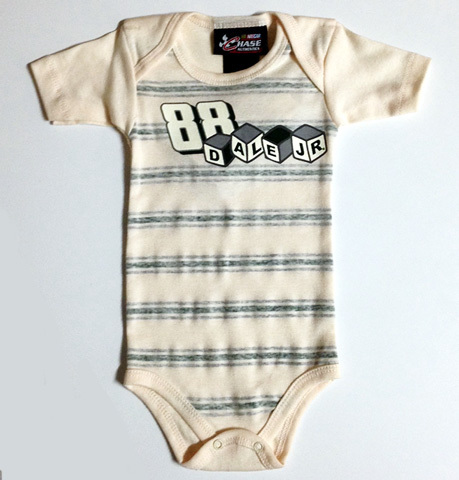 This pant features Dale Earnhardt Jr's replica signature and car number on one leg and the NASCAR logo on the other.